Multi-coloured silk scarf made by Vinita. Vinita is one of those artisans who knows how to create best-selling scarves. With her great eye for colour combinations and dyeing technique she always produces extraordinary pieces. 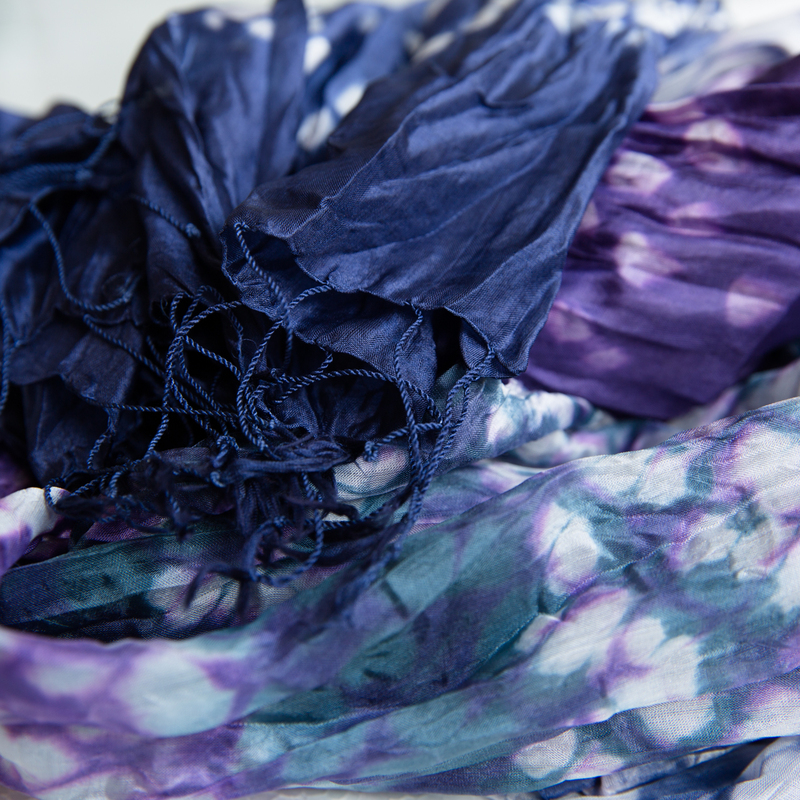 This scarf has been tie-dyed by hand in different shades of blue and purple.